Welcome to Oxford Road Timebank’s June newsletter, bringing you news, events and community updates of all-things West Reading. You’ve received this newsletter because you are a member of the Oxford Road Timebank, or because you expressed an interest in finding out more about it. Please feel free to share it with others in the area. You can unsubscribe newsletters using the link above. If you would like to cancel your free membership of the Oxford Road Timebank, please email us. Have you used the Timebank recently? We are getting ready to launch our user-friendly website. Please get in touch to share your offers and requests for help. Would you like to help support some fantastic community activities such as intergenerational craft classes? Maybe you’d like help with some DIY, or have a piece of furniture you’d like fixing? Would you be willing to share your gardening knowledge? Or maybe you could walk someone’s dog or take up a hem? Always wanted to start a walking group? We can help you. We are also looking for community activators and street ambassadors – we can help support your community events and groups. Tell us what you would like to see happening in your community. We’re getting excited about the street parties we are involved with in West Reading this month. There are some fantastic ideas being cooked up. On Waverley Road, citizens are putting together a street quiz to get to know each other better, and will be pledging ways they can share their skills or help their neighbours. We’ve already got together for some wine tasting sessions after finding out we have an expert as a neighbour, and we’ll be looking at other shared interests and seeing if we can start some more clubs. 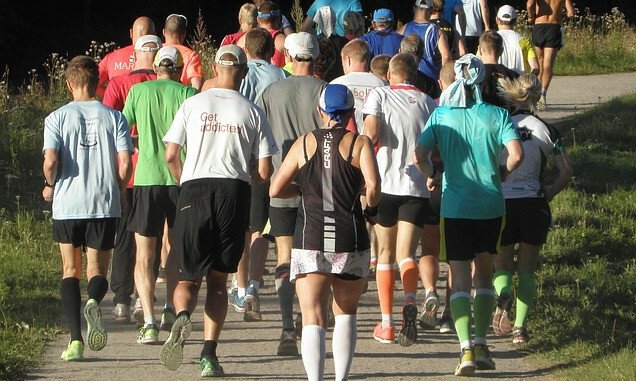 Could you be a champion for your community? We are here to support individuals or groups who want to do something in their neighbourhood or street. Are you interested in starting a social group such as a book club or a walking group for your neighbours or community? Or joining with other parents in your road to try a Play Street? Do you have a skill or passion that you’d love to share? We may be able to help you with things such as equipment, printing posters, insurance, and helping find like-minded people. Timebank members can earn timecredits for helping with community events. Please get in touch if you are interested in finding out how we could help support you at oxfordroadtimebank@gmail.com. We love the Oxford Road! Each month we would like to highlight something unique that our members love about West Reading. Get in touch to tell us what you love about living in West Reading. This month, ORTB Timebroker Donna talks about one of her favourite places to shop locally. This is my go-to shop when I have friends or family coming over to stock up on snacks and ingredients like preserved lemons. 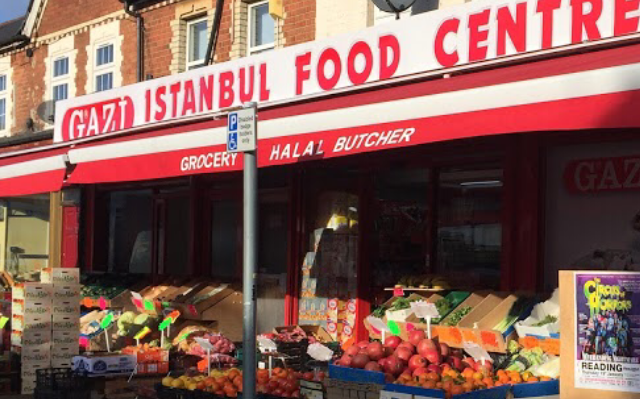 I love their breads and fresh herbs, and can’t walk past without grabbing a punnet of strawberries for a fraction of the price of the supermarkets. I am trying to work my way through trying all of their varieties of frozen savoury pastries, so far the giant cheese and spinich whirl is leading. The staff are really friendly. Although not a West Reading specific event, the re-opening of Reading Abbey is something for all Reading residents to be excited about. After years of being closed to the public, everyone is invited to be part of the celebrations. Children can take part in Jelly’s artistic animal procession in Forbury Gardens at 2.30pm. You can download and decorate a mask here. You can also join Jelly on the day to make Willow Streamers, 11am-2pm. 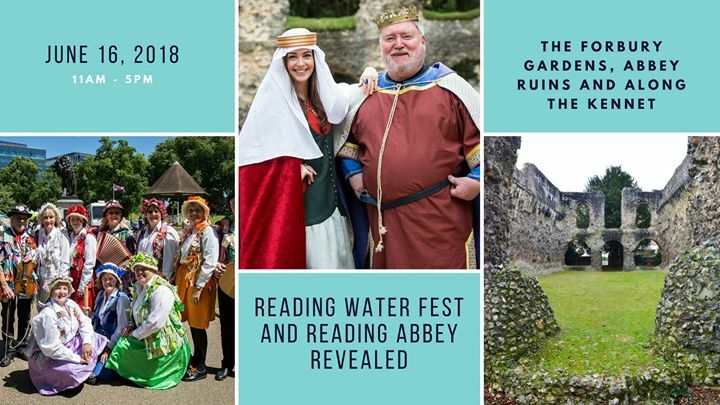 The re-opening of the Abbey runs alongside the fantastic annual Water Fest, held in the Forbury Gardens, Abbey Ruins and along The Kennet. Expect live entertainment, children’s activities, refreshments, water activities, narrow boats, craft and charity stalls. Reading Abbey celebrations continue with all sorts of events, activities and opportunities to get involved. Find out more here. Special events in West Reading in June. For weekly and regular events please see next section. Take your bike to this fix-it-yourself workshop for some TLC and enjoy a drink in the beer garden at the same time. They have 4 fully equipped work stands and a host of enthusiastic volunteers to help you. It’s held under a Marquee in the car park behind the pub in a safe and dry environment. Every Friday: 2.30-4pm. Everyone welcome to join for a coffee and a chat. Every Wednesday: 11am-12noon, £4 drop in. All abilities welcome. Saturday 9th June: 11am-4pm League of Friends of the RBH. Over 100 stalls, dog show, performances and refreshments. £1 / 50p entry. Sunday 10th June: 11am-4pm, free entry. APR’s 4th picnic for autistic families in Reading to get together. Expect trains, stalls, cake, bouncy castle and video games tent for older children/teens. Free but please register here. Sunday 10th June: 1-6pm, free entry. Enjoy Polish food and delicacies, children’s activities and much more. Delicious bread, bakes, jams, American pancakes, fudge, vegan goods and more. Saturday 30th June: 9am-5pm. Pop by to buy hand-picked vintage and retro clothing and items. Please donate any retro or vintage items you no longer want, clothing, homeware, records, accessories etc! Friday 6th-Sunday 8th July. Celebrating some of West Reading’s artists and makers. Free. Tea, coffee and games provided. Feel free to bring your own board game. Every Wednesday 11am-12noon, £4 drop in. All abilities welcome. Oxford Road Community Garden Tidy, located off the bottom of Western Elms Road. Garden tidy on Wednesday 20th June 6pm. Every Friday: 10am-12noon. Free. Get help and advice with all things digital. Every Thursday: 10-12am, £1. Special speaker from RBFRS on fire safety in the home on 21st June. Neighbourhood Action Group (NAG) including residents, police, Reading Borough Council and community groups. Every Wednesday (term time only): 10-10.45am. £2 drop in sessions for ages 18months to 4 years. A fun day for all the family with performances, bouncy castle, donkey rides, games, tombola, stalls, beer & pimms tent, ice-creams, food and loads more. Raffle prizes include a bike from Decathlon, Thames Lido vouchers, AmazonFire Tablet. Sunday 17th June: 12-6pm. Always worth a trip to the other side of town, this festival is friendly, has lots of activities for the kids and great food. Sunday 1st July: 11am-4.30pm. Charity fundraising day featuring vintage and the latest buses. Free shuttle bus from town. First Saturday of the month. Saturday 7th July 10.30-12.30, Free. An arts club for disabled children and adults. Get in touch first to discuss your needs. There are regular Ward Surgeries held by your local councillors that you can drop into to discuss your neighbourhood. You can also attend the Oxford Road Safer Neighbourhood Forum, The Salvation Army, Oxford Rd, Wednesday 4th July: 7-9pm. Neighbourhood Action Group (NAG) including residents, police, Reading Borough Council and community groups. Reading Council are asking for feedback on proposed changes to the transport services they provide for Access Pass holders. If you know anyone who is an Access pass holder (disabled or their companion), please ask them to complete the consultation by 20th July. In West Reading news, Reading Council have announced their preferred site for a new 900-place secondary free school is off Richfield Avenue. Due to be discussed later this month, the school could be open by September 2021. This would mean that the previously proposed transit site for the travelling community would not go ahead. More info here. Age UK Reading have launched their new website. It features details of regular events and services they offer, such as their Lively Living Social Clubs with extra support, Befriending, Happy Feet nailcutting service, as well as ways you can support them. You can also access their advice line by phone: 0118 956 2480 and by email: info@ageukreading.org.uk. Advice officers are available Monday to Friday, 9am to 2:30pm. Copyright © 2018 Oxford Road Timebank, All rights reserved.